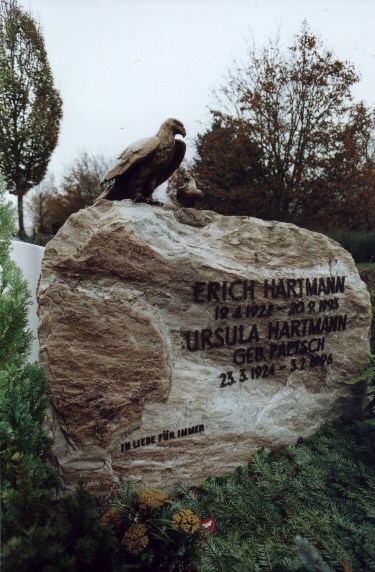 Erich Hartmann fought as a fighter pilot on the Eastern Front. On 8 May 1945, near Brno, he shot down his last plane of the war, a Russian Yak-11. This brought his total score to an incredible 352 victories, making him the highest scoring fighter ace in history. He was decorated with the Knight's Cross with Oakleaves, Swords and Diamonds. The Russians captured him and asked him to help them organize their air force, but he refused. In retribution, the Russians didn't release him untill 1955. After his return to Germany he joined the new Luftwaffe and became commander of their first post-war jet fighter unit.